The world of smart home tech has been built on the idea of a la carte products that homeowners and renters alike can install as a weekend DIY project. But for the less-than-tech-savvy, or for those who know a DIY project can take years to complete, making one’s home connected will take more than just buying a smart speaker, a couple smart lightbulbs, and a new wi-fi router. 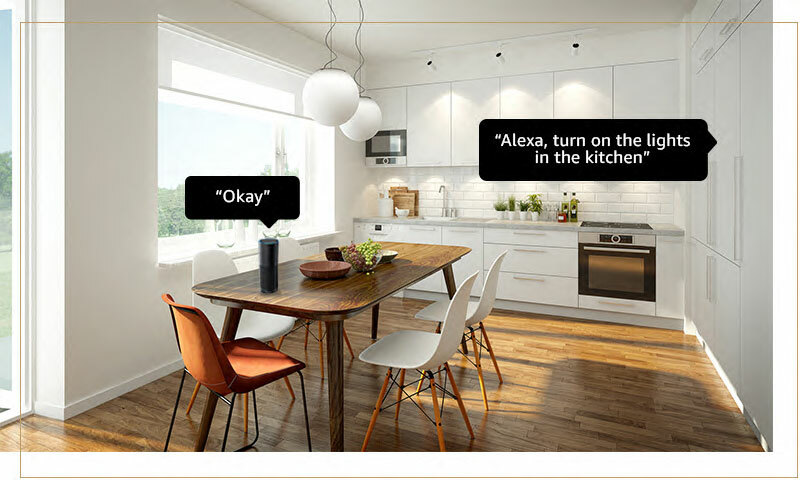 If you’re looking for some help to integrate tech gadgets into your home—whether it’s a simple smart thermostat or more complicated endeavors like a system that can control your garage door and tell you when the cat eats his dinner—here are a few trusted smart home services that can set up any device or system without you lifting a finger or busting an electrical circuit. Vivint’s smart home system stands apart for offering professional installation up front as part of the package deal. In order to get any of Vivint’s products—ranging from smart doorbells and locks to cameras and garage door openers—you’ll need to work with one of their pros to design the smart home tech you’d like installed. Vivint works with a few partners like Amazon and Nest to fill out their roster of products, and sets up the devices to all work together. Vivint’s professional installation costs $198, and they service 97 percent of zip codes in the U.S. and Canada. Vivint also requires a monthly service plan ranging from $39.99 to $49.99, depending on if any video devices are installed. Vivint will provide 24/7 monitoring and support, and as an added bonus, if anything breaks (even a partner product) they’ll send a pro back out to fix it. has become one of the most popular smart thermostats on the market. “While Nest products are designed for DIY installation, we find that some of our customers prefer to have the ease and peace of mind that comes with professional installation,” says a Nest spokesperson. To fill that need, the service connects users to service pros in their area. Nest has over 20,000 Nest Pros across the U.S., consisting of completely independent installers (i.e. a variety of local service professionals and handyman services). Users are able to find one that best fits their needs based on the products they install and user reviews. As there’s no standard pricing for these independent pros, Nest recommends requesting a quote from a pro in advance to make sure it’s a price you’re comfortable with. The startup is an online app and marketplace for finding anything from a handyman to a French tutor, so it’s no surprise they have a category for smart home installations. Their Home Automation and Thermostat Installation services typically range from $75 to $150, but can reach up to $1,500 depending on the location, services requested, and project size. If a home controlled by Alexa is your dream, look no further than the Internet giant that made voice-activated speakers a household staple. quietly rolled out in 2017 offers installations and free consultations on which products would work best in your home and how to make them work together. Installation prices vary depending on what you’d like installed, and the services range from personalizing an to installing an . The service is currently only available in seven markets: Seattle, Portland, San Francisco, San Jose, Los Angeles, Orange County, and San Diego. The most important component of a smart home, by far, is good wi-fi to support all the devices. A spotty signal can render some devices useless, and for those need both wifi and smart devices set up can now turn to Wi-Fi Alliance’s latest offering, . It provides wi-fi as part of the initial home design, guaranteeing a strong signal customized for the home, in the same vein as lighting and electricity. Lennar, one of the largest home builders in the U.S., is one of the first partners to start building these certified homes, with their first housing development of this type planned for Irvine, California. Lennar also includes a suite of smart home products as part of the package, including , , , , and more. “Some products–such as door locks, thermostats, light switches, and the –are installed right during construction by skilled technicians. Others are installed and activated in-person after a homeowner moves in,” says David Kaiserman, president of Lennar Ventures. Lennar is including the activation and smart home installation as part of their Everything’s Included package for new homeowners, rolling out in 19 states.